The GSPCA are currently looking for additional staff members to help with our increasingly busy front desk, the animals, guided tours, cleaning and to continue to develop our charity shop area. The closing date for these posts is Thursday 19th April 2018. The roles are casual positions to help cover 7 days a week and especially on weekends and bank holidays when the GSPCA is often extremely busy. The closing date for these posts is Friday 18th August 2017. The roles are to help cover 7 days a week and especially on weekends and bank holidays when the GSPCA is often extremely busy. We have a team of 24 staff and over 750 volunteers and without the whole team we couldn't help the 3000+ animals that come through the doors every year, care for the many boarders and achieve so much. The closing date for these posts is Tuesday 6th June 2017. We have a team of 20 staff and over 700 volunteers and without the whole team we couldn't help the 3000+ animals that come through the doors every year, care for the many boarders and achieve so much. The GSPCA are currently looking for additional staff members to help with our increasingly busy front desk and develop our charity shop area. Also we are also looking for an additional casual animal care assistant to help meet the needs of the Shelter. We have extended the closing date for this post until Tuesday 21st February. After nearly 13 years of service the team at the GSPCA will sadly be waving off Inez Rawcliffe who has been a fantastic member of staff working primarily with the Boarding Cats as well as helping other team members care for the hundreds of animals at the GSPCA. Inez who works opposite Collette Pattimore 3 morning on 3 days off has helped care for thousands of cats over the years and we will all be very sad to see her retire. 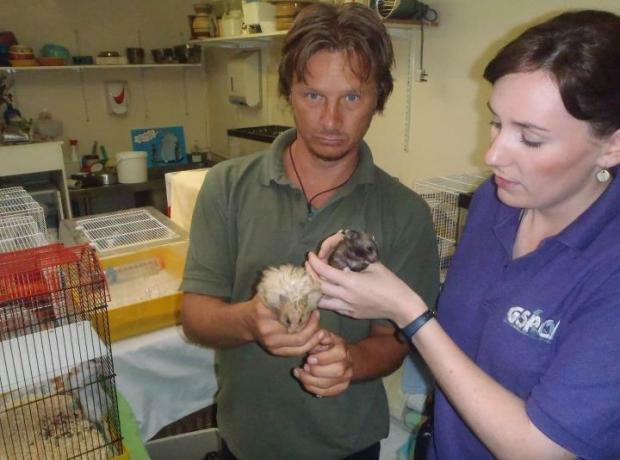 An exciting opportunity at the GSPCA has come up as an Animal Welfare and Education Officer. This unique post that was previously held by Emma Trousdale who worked fantastically over the 2 years developing the role has sadly left us as a Full Time staff member but continues to support the Shelter in other ways. The GSPCA currently has an exciting position for a full time member of staff. Although not leaving the Shelter completely a staff member is stepping down from his full time role which has opened a very diverse position at the GSPCA.